Nuts, grains, vegetables, fruits, and seeds all provide healthy fuel for the body, and in combination they make complete protein powerhouses that easily deliver this essential nutrient. Whether it is Multi- Layered Avocado Toast for breakfast, Acadian Black Beans and Rice for dinner, or No-Bake Chocolate Peanut Butter Cookies to satisfy a sweet tooth, blogger and recipe developer Ginny Kay McMeans has a protein-packed option for everyone. 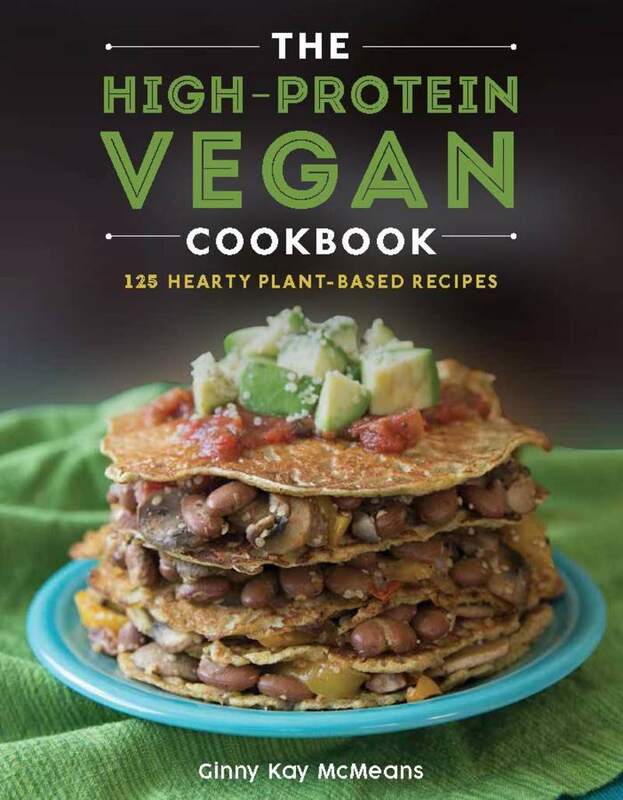 The High-Protein Vegan Cookbook highlights the ins- and- outs of vegan protein, including how to build muscle and lose weight, the best foods to eat to achieve a strong, healthy body, and recipes for DIY seitan. With more than 125 protein-rich, plant-based recipes, McMeans proves that vegans don’t have to skimp on this important nutrient. Ginny Kay McMeans is the recipe developer, photographer, and blogger behind VeganInTheFreezer.com. She is the author of The Make Ahead Vegan Cookbook and The High-Protein Vegan Cookbook and has been featured by Huffington Post, Shape, MSN, Yahoo, Buzzfeed, Healthline, MindBodyGreen, Healthy Magazine, and many more. She lives in Orange County, California, with her husband and all the other critters that love the heat.